Do your kids love following the journey of the Descendants at Auradon Prep? They’ll love playing along with their favorite story lines! Hurry and get the Disney Descendants Signature Jane Auradon Prep Doll today for only $9.99 (regularly $15) from Amazon! A new generation of Disney heroes and villains is taking center stage! Meet Jane of Auradon, daughter of the Fairy Godmother and a delightful addition to your modern-day Disney adventures. Magic is in her heart, and she brings it to Auradon Prep. She comes in a stylish outfit with elegant accessories, including matching shoes. Also included is a locket for girls with a sticker inside! 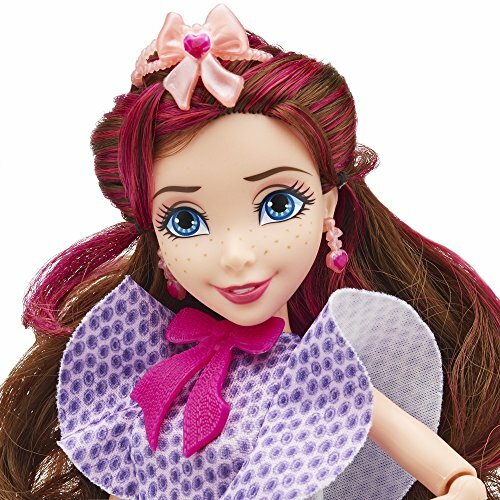 Buy the Disney Descendants Signature Jane Auradon Prep Doll from Amazon.